Several Moroccan strawberry pickers in Spain have denounced their working conditions and filed sexual harassment complaints, authorities said Tuesday, in what a local lawmaker described as “modern slavery”. Police in the southern region of Andalusia confirmed that five complaints had been made by seasonal workers against the same company. “One was linked to working conditions, three were for sexual advances, one for sexual abuse,” a Civil Guard spokesman said. The spokesman confirmed a man was being probed over the alleged sexual abuse. The women’s lawyer, Belen Lujan, said this was just the tip of the iceberg as many more women working near Huelva in Andalusia would like to press charges but “are scared to do so” or have already returned to Morocco. 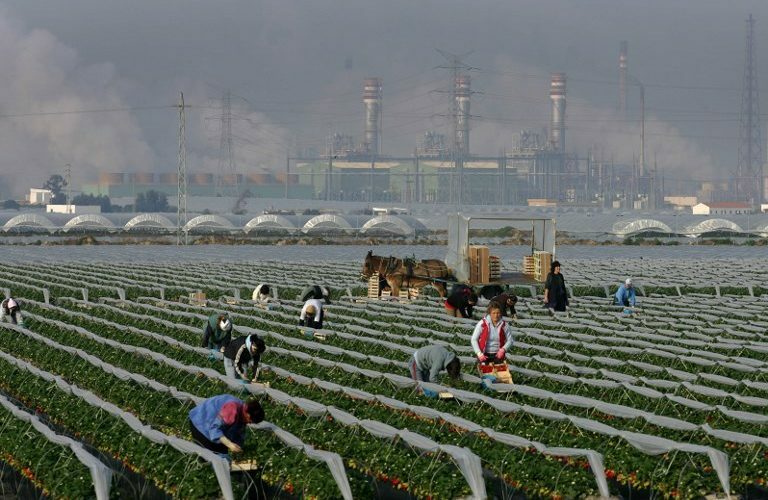 Thousands of foreign women are temporarily employed in Andalusia from February to May to pick berries under contracts that force them to return to their country at the end of the season. Lujan said five more women were in the process of pressing charges. According to the head of Andalusia’s SAT union, Oscar Reina, all complaints are against a company in the town of Almonte, which temporarily employed “500 Moroccan and Roumanian women”. “It’s modern slavery, it’s shameful,” he said.